On this 14-day overland camping tour you will start off in Johannesburg before you travel to Botswana to explore the Okavango Delta on a traditional canoe also known as mokoro. 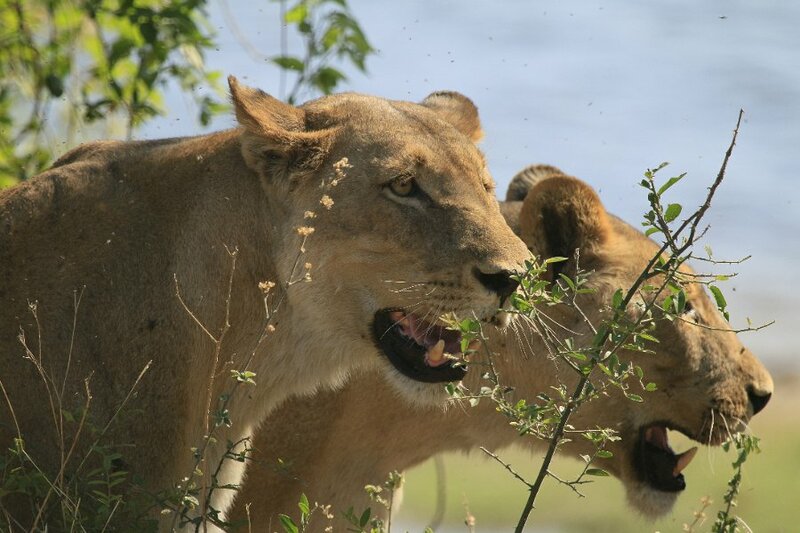 Furthermore you will enjoy game drives in the Moremi Game Reserve, the Savute Region and the Chobe National Park. Eventually the tour will end off with a visit of the thundering Victoria Falls in Livingstone. In the morning you will leave Johannesburg and head in a northerly direction on your way to Botswana. While travelling to the Khama Rhino Sanctuary, you will travel pass Serowe, the birthplace of Botswana’s first president. The Khama Rhino Sanctuary has a size of 4300 ha and is situated on the Kalahari sandveld. 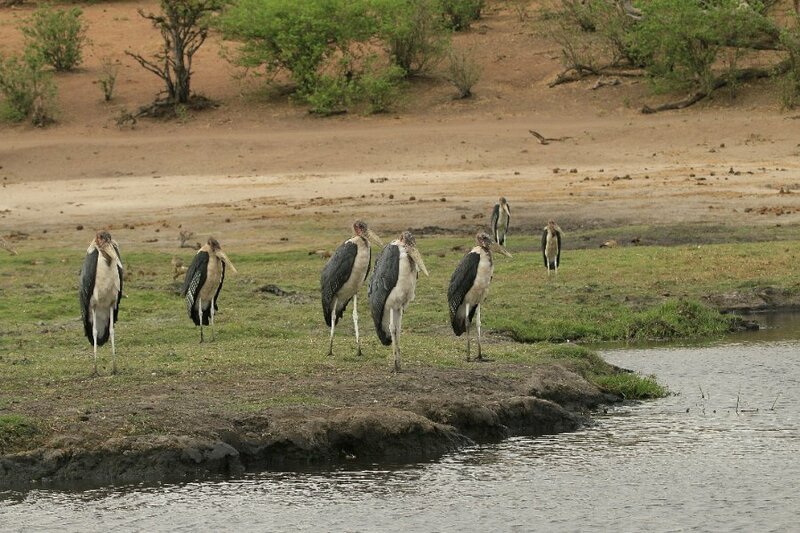 It has been blessed with a number of natural waterholes and its prime habitat is home to white rhinos, zebras and wildebeests. After your arrival you will enjoy your first game drive in the Malema and Serwe Pans. Today’s journey takes you from the Kalahari to Maun, the ideal base for trips to the Okavango Delta. Once you have set up camp, you will prepare for the upcoming trip to the delta before you enjoy a relaxing afternoon at the pool. You leave Maun behind and accompanied by local guides you make your way into the Okavango Delta by mokoro (traditional dug-out canoes). The Okavango River spreads out over the flat sands of the Kalahari without ever reaching the ocean. 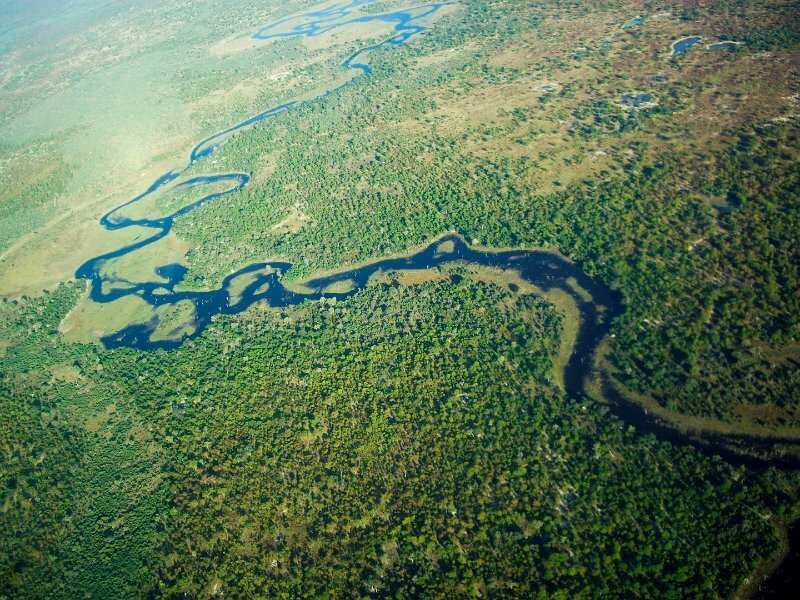 Formed by water flowing from the Angolan highlands, the delta creates a lush and sumptuous haven for animals. You will spend the nights on a remote island in this breath-taking area and by camping with local guides you will get to hear more about their culture and how they go about their daily life. During your time here you also have the possibility of joining a bush walk or going swimming in the clear waters. On day 5 you will return to Maun in the late afternoon and you are given the possibility to fly over the delta (optional activity, not included in the rate). The next four nights are spent in the Moremi Game Reserve which you will explore during game drives. 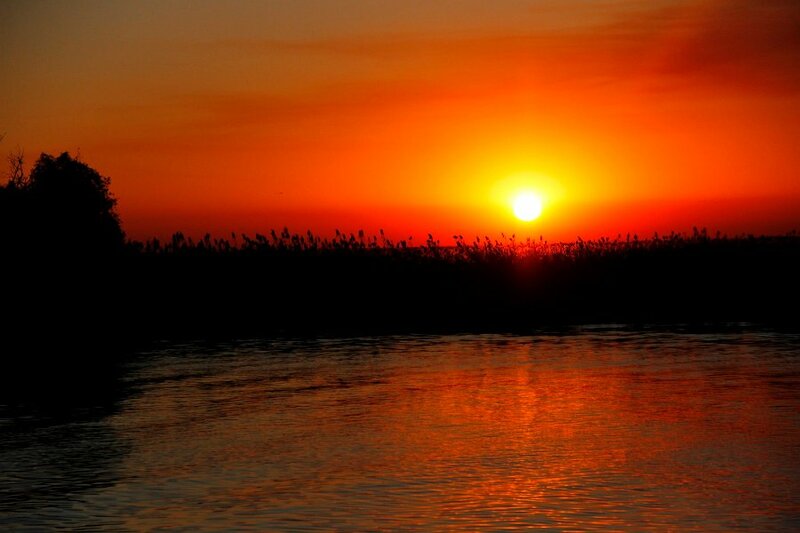 The Moremi Game Reserve is the only officially protected region in the delta that is home to grasslands, forests, lily lagoons and mopane forests. White and black rhinos, giraffes, lions, leopards, cheetahs, hyenas, impalas, red lewches and more than 400 different birds call this area their home. Passing the sand ridge, you will travel further north into the Mababe depression before you finally arrive at the Savuti Marsh. Herds of zebras and wildebeests are attracted to the lush pastures and they are always closely followed by predators including the large lion prides for which Savute became famous. There is also a waterhole close to the camp and you might be able to watch elephants drinking while you enjoy your sundowner. 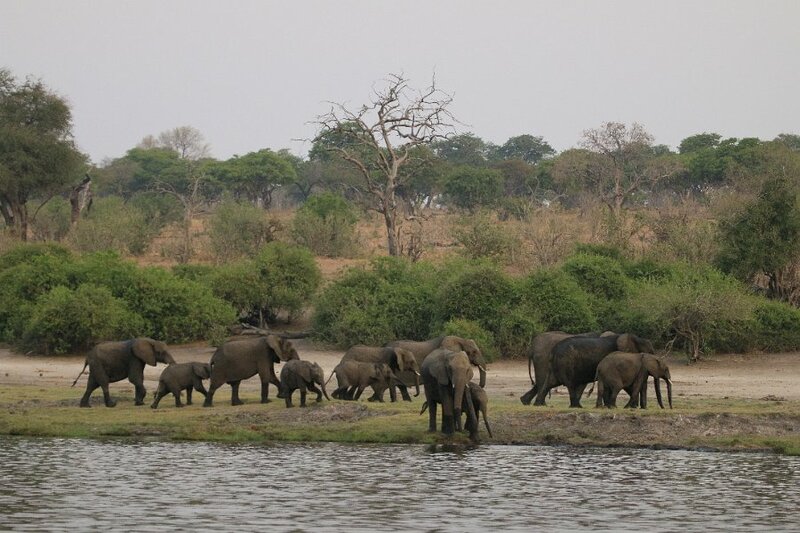 Here in the Chobe National Park, where the Chobe River forms the northern border of the park, you will find some of Africa’s biggest elephant herds. At sunrise you will have the option to go game viewing in the Chobe River’s flood plains before you return to the camp to relax during the heat of the day. 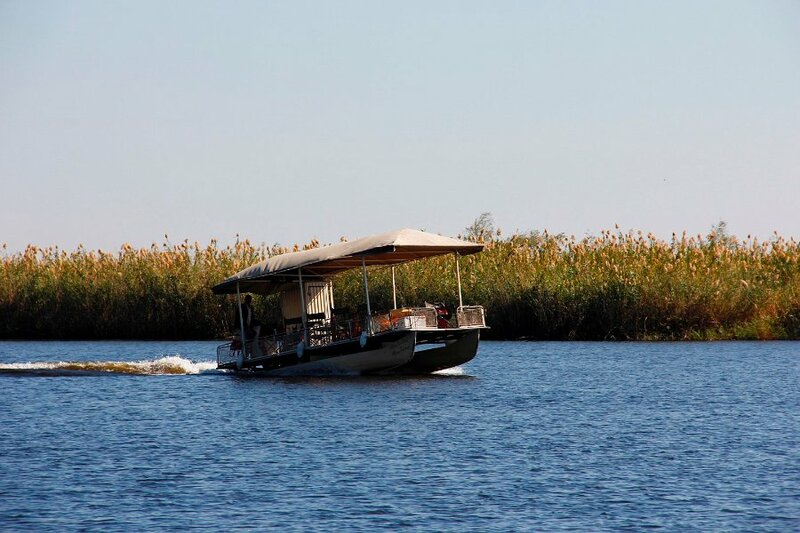 Later in the afternoon you will join a boat cruise where you might be able to watch elephants heading to the Chobe River while you sip on a cool drink. Night 11 will be spent at a camp in Kasane on the banks of the Chobe River. Next on the agenda is Livingstone and you will spend two nights on the shores of the Zambezi River. 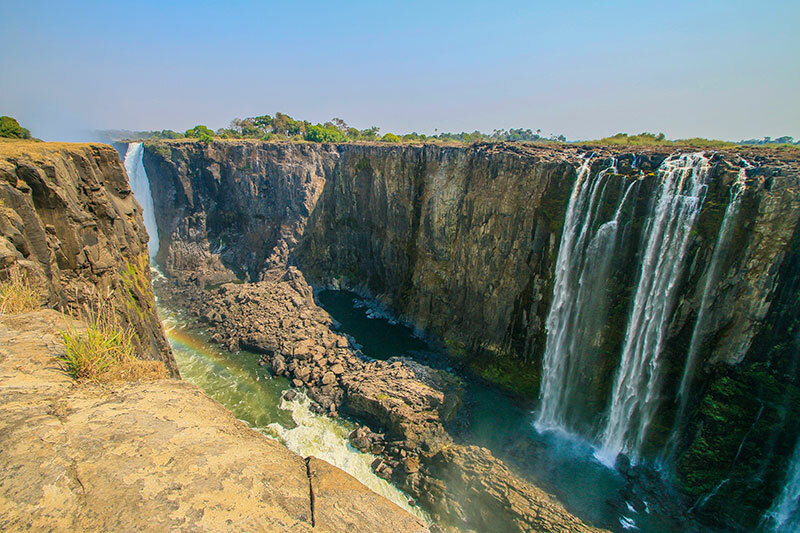 You will visit the impressive Victoria Falls and other activities such as white water rafting on the Zambezi River, bungee jumping or flying over the falls are also available (optional and not included in the rate). The tour comes to an end after breakfast and you say goodbye to your fellow travellers before you are transferred to the airport for your journey back home.